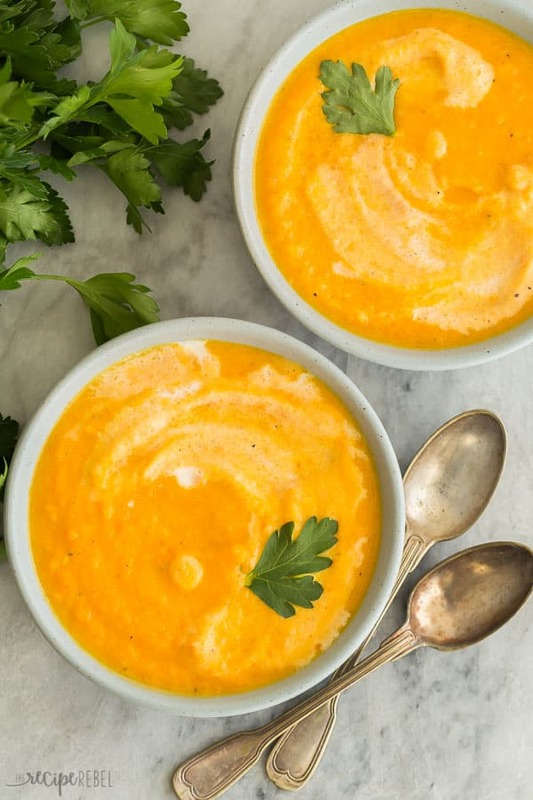 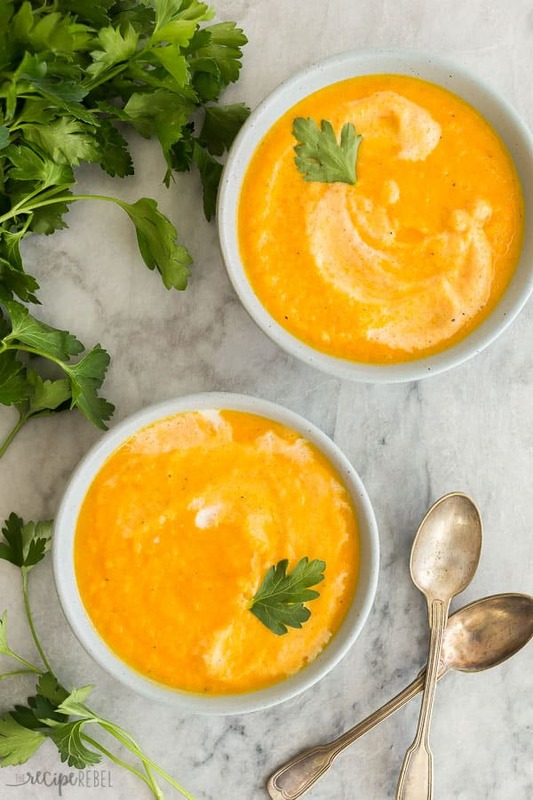 This Carrot Ginger Soup recipe is easy, hearty and healthy! It's made with carrots, chicken broth, sauteed onions and garlic with a variety of spices that give it so much flavour! 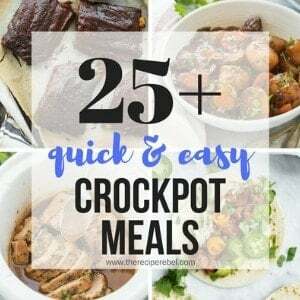 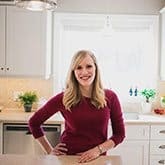 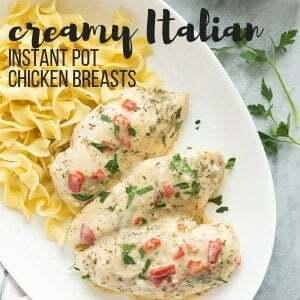 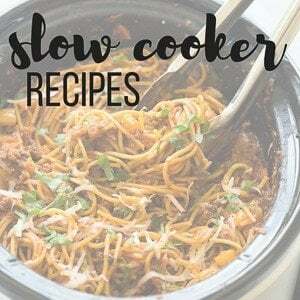 Includes Instant Pot & Slow Cooker versions.